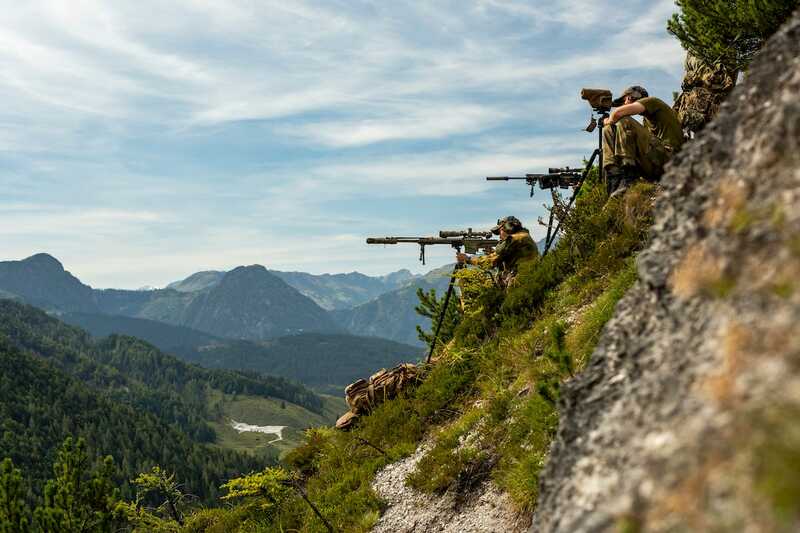 US ArmyA Norwegian Army Telemark Battalion sniper team takes aim at targets across a valley on Sept. 11, 2018 during the International Special Training Centre High-Angle/Urban Course at the Hochfilzen Training Area, Austria. 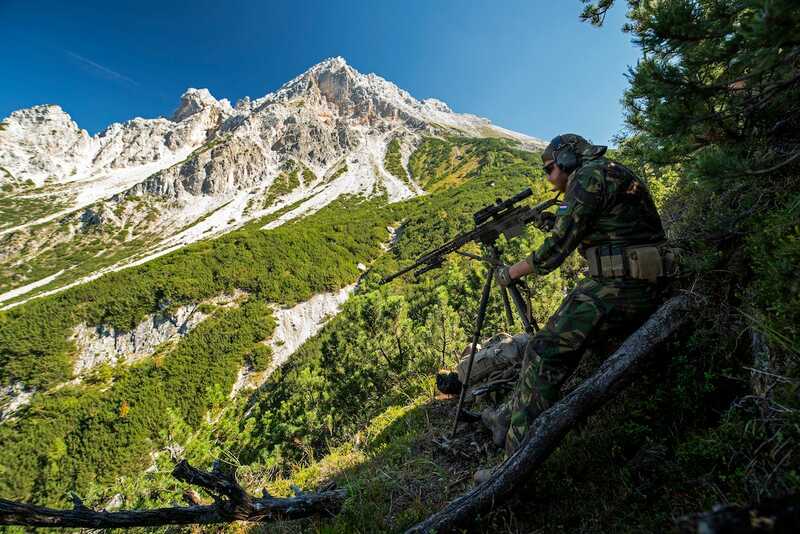 Military snipers from several NATO countries recently practiced high-angle shooting in the Austrian Alps. Snipers from Belgium, Germany, Greece, Italy, the Netherlands, Norway, Slovakia, the United States, and other NATO countries practiced the shooting from Sept. 9-14 at the International Special Training Centre’s High-Angle/Urban course at the Hochfilzen Training Area. 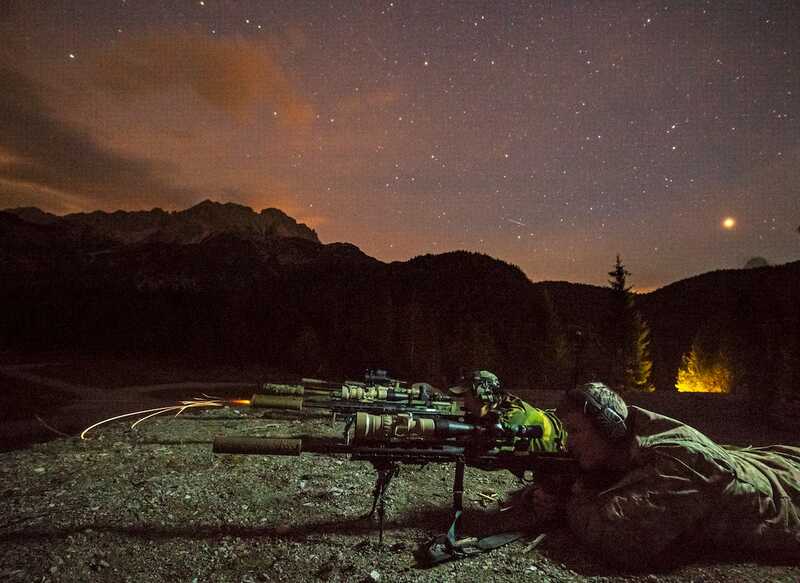 “High-angle shooting is when you shoot further than 300 meters at angles greater than 15 degrees,” Lt. Alexander Rishovd, a sniper instructor assigned to the Norwegian Army Land Warfare Centre,said. And the pictures are stunning. 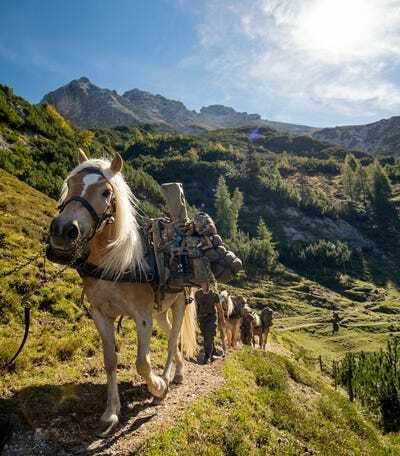 The NATO soldiers hiked 6,500 feet up to the high-angle range several times during the five-day period, even using packhorses to help get their gear up. US ArmyAustrian packhorses haul equipment up to a high-angle range on Sept. 12, 2018. And the training taught the soldiers how to pack lightly. 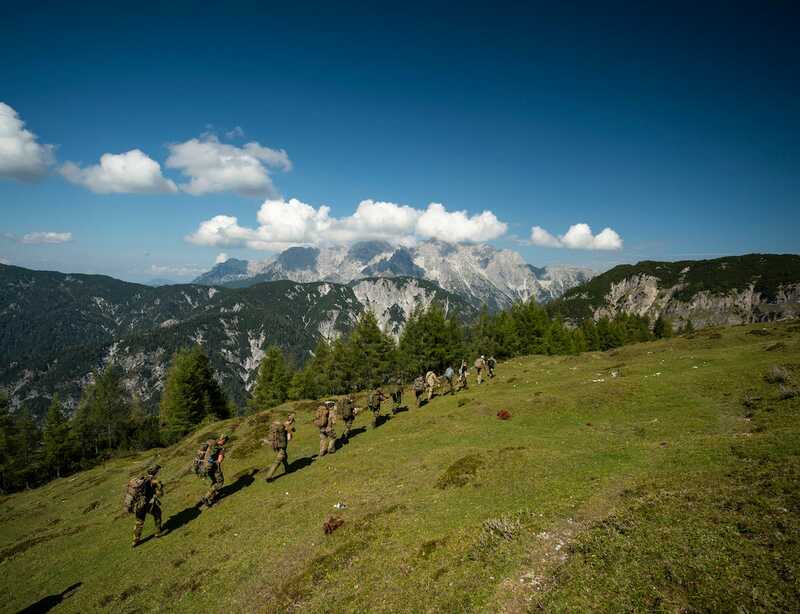 US ArmyMultinational snipers hike to the high-angle range on Sept. 13, 2018. 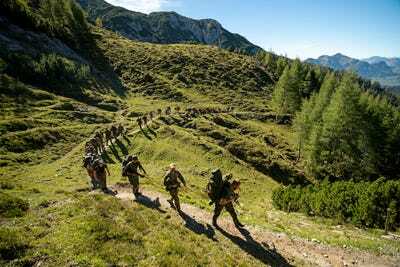 “With a sniper rifle and sometimes two rifles, hundreds of rounds of ammo, tripod, spotting scope and night optics, mountaineering gear, sleep system, and water and food, your pack easily gets over 40 kilos,” one Belgian special forces soldier said. After ascending to the range, they started the high-angle shooting. 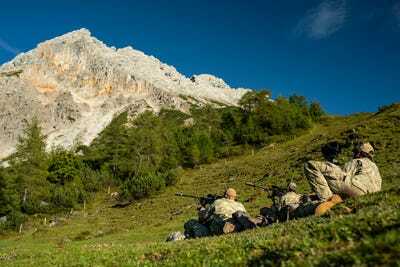 US ArmyA US Army sniper team from the 2nd Cavalry Regiment engages targets uphill of their position on Sept. 12, 2018. “Each degree of angle will have an associated number value called its cosine,” Rishovd said. 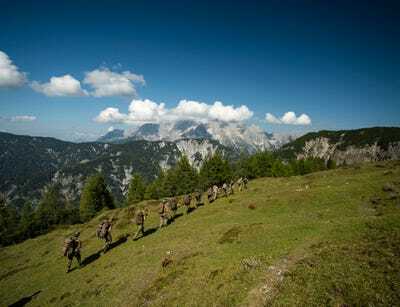 They practiced shooting directly across valleys. 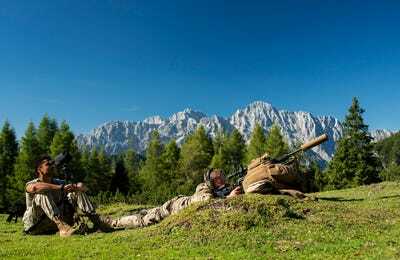 US ArmyA Norwegian Army Telemark Battalion sniper team takes aim at targets across a valley on Sept. 11, 2018. US ArmyA Dutch sniper engages targets below in a valley on Sept. 12, 2018. US ArmyItalian snipers from the 4th Alpini Regiment engage targets uphill of their position on Sept. 11, 2018. They also used smoke to help ascertain how fast and in which direction the wind was blowing. 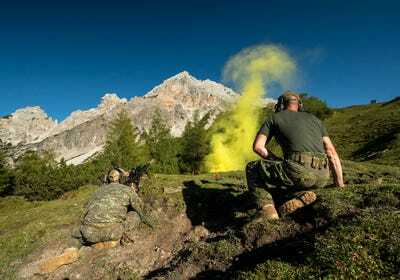 US ArmyA Slovakian special operations sniper engages targets uphill of his position as smoke in the foreground is used to indicate wind speed and direction on Sept. 12, 2018. They even practiced “stress shoots,” which test a soldier’s physical fitness and firearms training together to replicate a combat situation. US ArmyA Norwegian Army Telemark Battalion sniper and a US Army sniper run back to their rifles during a stress shoot competition on Sept. 13, 2018. You can read more about stress shoots here. 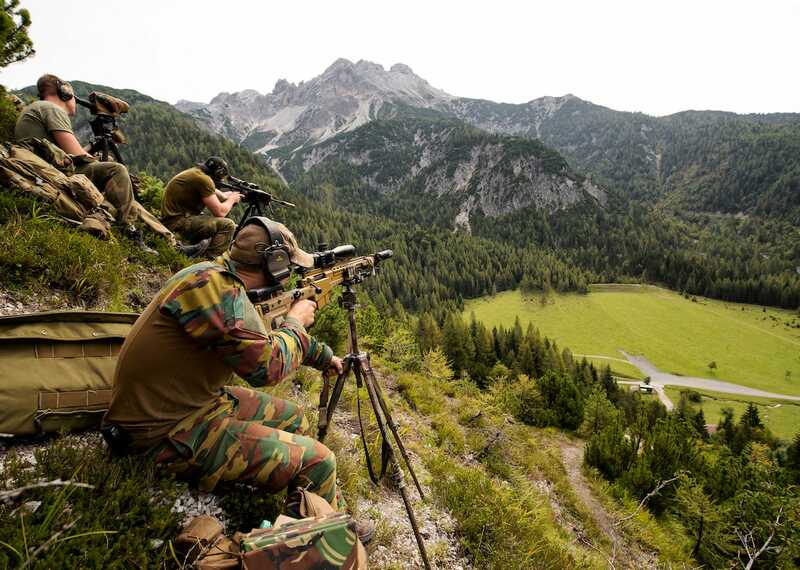 Snipers from different countries were paired together too. US ArmyA Norwegian Army Telemark Battalion sniper engages a target using a night vision optics while a US Army sniper from 2nd Cavalry Regiment acts as a spotter Sept. 10, 2018. After the training sessions, the snipers hiked back down from the high-angle range. 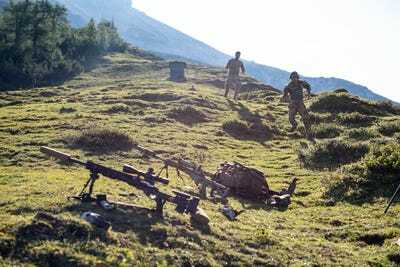 US ArmyMultinational snipers begin their descent down from the high-angle range on Sept. 13, 2018.